Today I have another perfume review for you. I was nervous to put it lightly! Twice a year, us Irish Bloggers and Youtubers get together for a day, pop around the shops, investigate some products, naturally all of this works up an appetite so we round of the day with a bite to eat! In the Summer, on arrival Sarah (adoreabubbles) who organised the meet up greated everyone with a little goodie bag. Among other products, inside the goodie bag were little vials of Inis perfume supplied by Fragrances of Ireland. 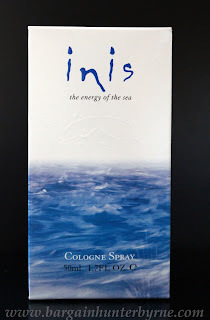 Recently Fiona from Fragrances of Ireland contacted me with regard to reviewing 'Inis- Energy of the Sea' and kindly sent me out a bottle. Personally I am a stickler for packaging. Packaging needs to be unique and eye catching as it is going to be the first thing that draws the customer in. If I see a perfume nicely packaged I tend to be intrigued as to how the fragrance smells. I love the ocean imagery on the packaging and also the simplicity. The box is not cluttered with writing of ingredients etc. The box merely states the fragrances inspiration, the address where it is made and the website address as to where it can be purchased. The perfume bottle itself its quite simplistic. The glass is slightly frosted with the Inis logo on the front of the bottle. When I think of the sea I think of: the cool crisp ebb and flow of the waves, the fresh breeze, personally I find the sea to be quite calm and relaxing. As this perfume was designed around evoking images of the sea, for me it captured this perfectly. As I am deplorable at describing fragrances I will list you the ingredients from the website. I find with perfume you really need to smell the perfume yourself before you can make a decision on purchasing some. 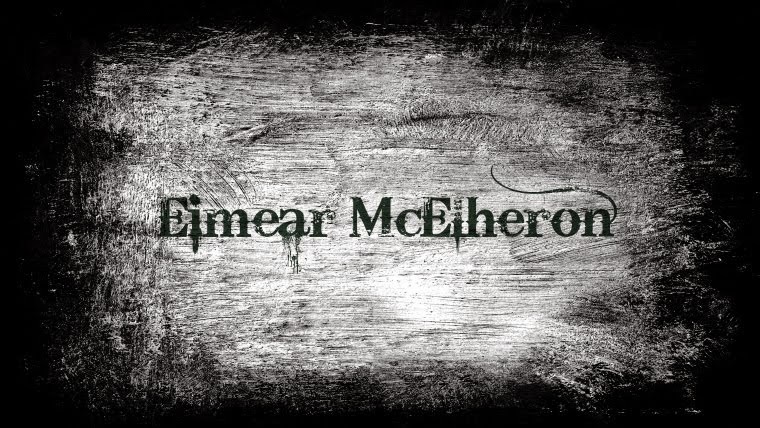 If you click HERE you can order a 2ml vial of the perfume from as little as €1.50, after this you will receive a discount code to this value which can be used off your next order, extremely handy! This is a unisex scent now, the first time I smelt this perfume I thought it was leaning more towards a men's fragrance. Not that it was an issue for me I like a very broad range of scents from very sweet to rather musky. I have been wearing this almost everyday for the last two weeks and I have to say I love it. The lasting power of the fragrance is absolutely amazing also. I'll spray the perfume on my wrists and neck as I am going out the door to college in the morning, and I can still slightly smell the scent in the evening when I come home. It has quite a rich scent I think if you tend to opt for the more sweet/floral fragrances this may not be your cup of tea. My boyfriend has also tried this fragrance and he agrees that he would wear it and he can tend to be quite fussy! It just goes to show that the fragrance can be worn by both men and women as stated. The 30ml perfume retails for €24. Given the lasting power of the perfume and the 'strength' of the perfume so to say (you don't have to douse yourself) the fragrance is quite affordable. Personally I find it is important that we Irish, support Irish companies. Inis offer a wide range of fragrances along with gift sets and soaps which would make the perfect gift for a loved one this Christmas. If you are interested in purchasing some of the Inis range. 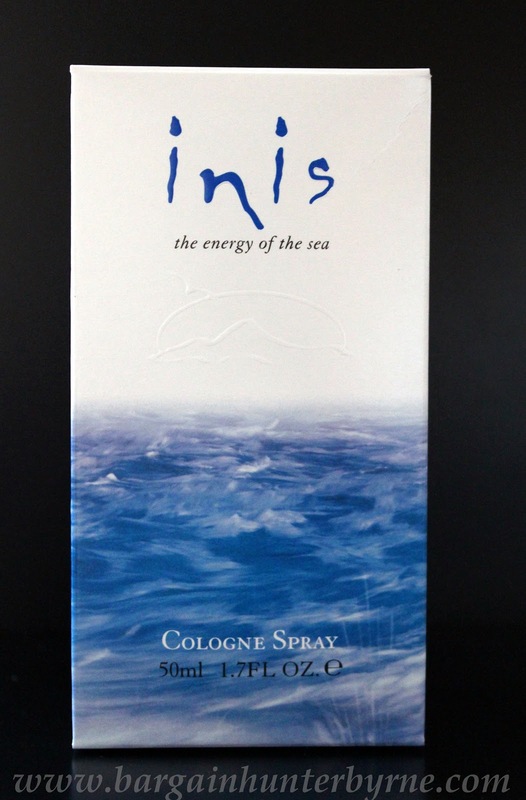 Have you tried any fragrances from the Inis range?